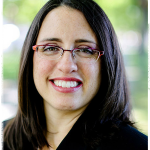 Think your digital photos are safe? How many different places do you have your digital photos backed up to? Are they only on your phone or do you download them to your computer or to the cloud and then delete what you had stored on your smartphone so you have more space to take more photos? For clarity, the simplest definition of a back-up is having an exact copy located in two or more different places so that if one copy is destroyed you have another. So if you download those photos and then delete what is on your phone, you are not backing up. You are just switching the place that your photos are actually located. Maybe you fall into the group where your photos are automatically “backed up” on the cloud. Would you still believe your photos are safe if the company was hacked or it went out of business and you could not access your photos? Malware is affecting big companies everyday. If your main computer does not have enough storage space to store all of your photos, a second external hard drive can be used instead. Just make sure that it is made by a different manufacturer from your other external hard drive. You don’t want to buy two hard drives from the same manufacturer at the same time because then you could have two drives go bad because they were created from the same faulty batch. So let’s say you’ve gone ahead and followed these backup best practices. That’s great! However, I hope you’ve done the last crucial step which is to let someone else know the location, username and password to access your photograph copies in the case of an emergency or tragedy. It becomes a moot point after investing all your time and money in saving these precious memories for the next generation if they can’t access them. 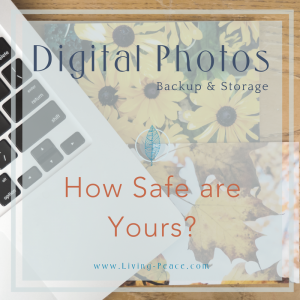 Is the idea of organizing and backing up your photos a well meaning intention you keep putting off because life gets to hectic? If so, let me do some of the leg work for you. If you would like to find out more about organizing your photograph collection or at least properly backing it up for when you finally have the time to organize it, contact us for a photo organizing session. Whether your photographs are digital, print or both, we can help you organize, safe guard and protect your precious memories.